Eat and Shop This Christmas for St. Jude Children's Research Hospital® During the 13th Annual Thanks and Giving® Campaign. For the 13th year in a row, some of America's best known retailers and restaurants are again partnering with St. Jude Children's Research Hospital® for their yearly Thanks and Giving® campaign. What began as a simple holiday focused fundraising effort, has grown into a spirited and inspiring annual tradition that has raised more than $588 million dollars. "We are deeply grateful for the outpouring of support we receive year after year during the St. Jude Thanks and Giving campaign." said Marlo Thomas, National Outreach Director for St. Jude Children's Research Hospital. "Throughout the holiday season people open their hearts to the children of St. Jude and as a result, our doctors and scientists can continue their groundbreaking research and pioneering procedures that help us achieve our landmark survival rates. And, we are able to continue to ensure that no family pays St. Jude for anything - not for treatment, travel, housing or food - because we believe all a family should worry about is helping their child live." This holiday season, it's easier than ever to support the Thanks and Giving® Campaign. From now until the end of the year, consumers can support St. Jude while shopping at premier brands in retail, restaurant, travel, hospitality, media, and more. Here are just a few of the ways you can shop, eat, and get merry this Christmas, all while supporting St. Jude. Several retail partners are offering special merchandise during the holidays to benefit St. Jude. 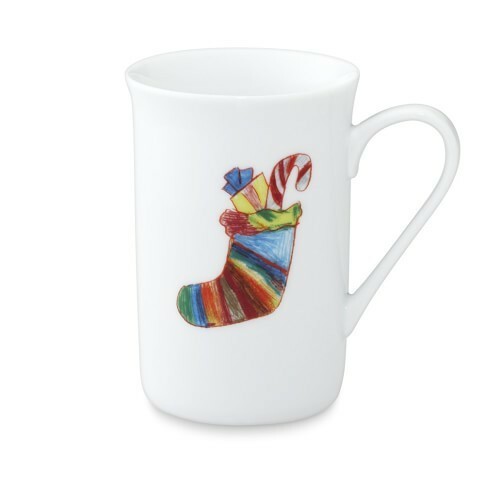 Williams and Sonoma, Inc. will be offering kitchen gifts featuring artwork from St. Jude patients, with 25% of each purchase being donated. Since 2003, Williams and Sonoma, Inc., has donated more than $30 million dollars. Shoppers can also donate directly at the register and from their online shopping cart, as well as purchasing a product that gives back to St. Jude from their partners Pottery Barn, Pottery Barn Kids, PBteen, West Elm, Rejuvenation and Mark and Graham. Kay Jewelers will once again offer its popular plush animals, Travis and Trey, to benefit St. Jude. 100% of the proceeds from the sale of each $13.99 bear will go directly to St. Jude. Ann Taylor has designed a special collection of jewelry inspired by the iconic elephant, a symbol of family, strength, and good luck. 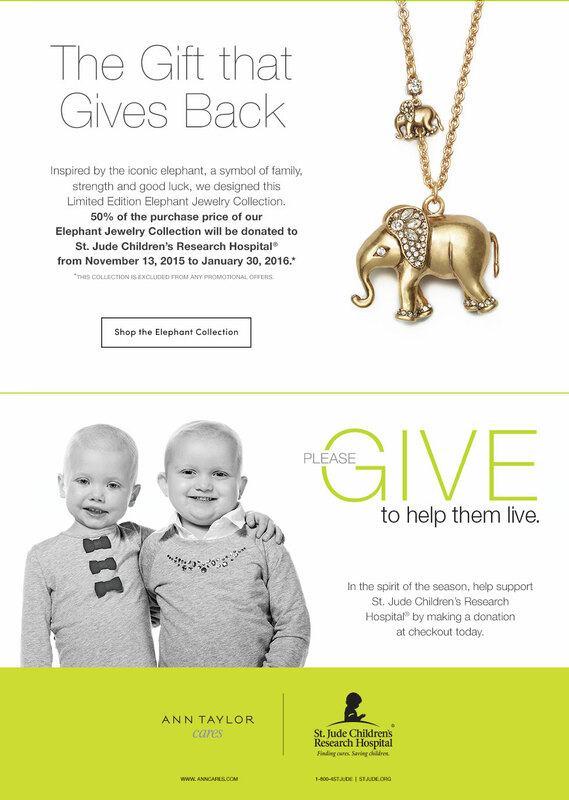 Called the Limited Edition Elephant Jewelry Collection, 50% of the purchase price will go to St. Jude from now until January 30, 2016. 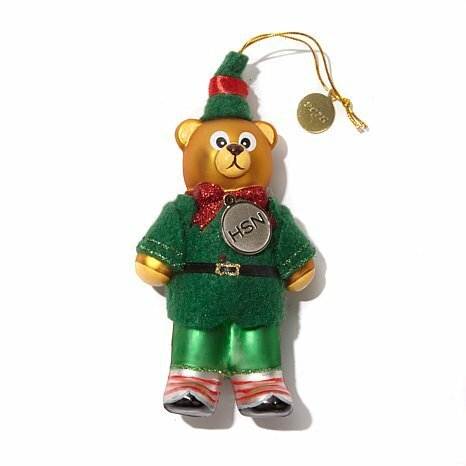 Home Shopping Network has released their 2015 HSN Cares Ornaments for St. Jude, with 100% of the profits being donated. Since 2005, HSN has raised over $10 million dollars for St. Jude. New York & Company is proud to support St. Jude, and has raised $16 million dollars since 2008. This year, shop online and in stores and look for the limited edition St. Jude necklace, key fob, and bracelet set with proceeds going to St. Jude. Brooks Brothers has an entire St. Jude gift collection you can shop from, with portions of the proceeds going to St. Jude. Items include elegant silk accessories, ties, cashmere, and plush bears manufactured by Gund®. In addition, you can donate to St. Jude directly at the register and in your online cart at such retailers as Best Buy, AutoZone, HomeGoods, Marshalls, GNC, Claire's, Dollar General, Justice, and Party City. Chili's Restaurants continue to support St. Jude, giving diners the chance to donate to Thanks and Giving® right at their tabletop kiosk. Richard Shadyac Jr., President and CEO of ALSAC/St. Jude Children's Research Hospital, is thankful for the overwhelming support and success of Thanks and Giving®. "Throughout the campaign we ask people to 'Give thanks,' and we are truly thankful for our partners, their employees, customers and St. Jude supporters who enable us to continue working until we reach the day when no child dies from cancer." 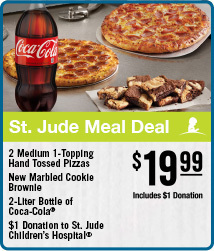 Donate at St. Jude and visit the site to learn more, and be sure to shop and dine with participating partners. Follow St. Jude on Facebook, and Twitter and show what you are thankful for during the holidays using the hashtag #GiveThanks.